About the Book: The houses of the Zodiac each have their own planets and strengths. Sixteen-year-old Rho Grace is a student from House Cancer. Her ability to read the stars has resulted in a unique vision, but her teachers dismiss her readers as false. When a blast strikes the moons of Cancer killing millions of people, Rho has a feeling that her mysterious vision was a prediction. With the leader of Cancer killed in the blast, Rho is shocked when she is chosen to be the House's new guardian and leader. She's still having upsetting readers in the stars, but no one believes her. When a reading shows that two other signs are the next ones targeted for disaster, Rho believes that the ancient and exiled thirteenth sign, Ophiuchus, is back and seeking revenge. It's up to Rho to save the Zodiac and protect everyone. Along with her adviser and Royal Guard member Mathias and Hysan, a delegate from Libra, Rho must travel the galaxy and spread her warnings-before it's too late. 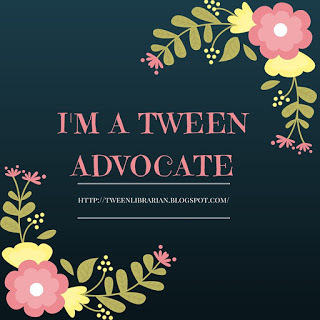 GreenBeanTeenQueen Says: When I was a teen, I was obsessed with astrology. I am a poster child for Gemini and I loved reading about the various signs of the Zodiac and what they meant. And I know it's not just me! So many of my teens love reading about astrology and Zodiac hits that fascination perfectly. Zodiac is a fast paced space adventure. It's a mix of science fiction, fantasy, adventure and romance. The science is a bit goofy and not always explained and there's a love triangle that I don't think really needed to be there (sigh...why are there always love triangles?). But I can overlook those things for the fun that I had reading. I hate when books take a long time to get the action going so I was thrilled that Zodiac kicks off and high speed and doesn't slow down. In the first twenty pages Rho has had an ominous vision and Cancer is sent into turmoil. Each chapter ends on a cliffhanger so you have to keep reading and this book is easy to fly through. While it might not be the perfect read for avid science fiction readers since some of the how's and what's and why's aren't always explained, for someone who likes science fiction light, this is a fun read. I wish there would have been a bit more background on how the Zodiac was formed. While it's not dystopian, the relationship between Rho and Mathias reminded me a bit of Tris and Four in Divergent. 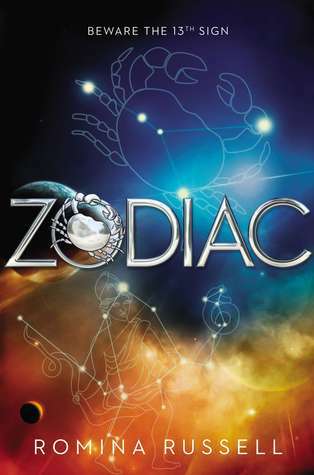 Zodiac is a fun, fast paced adventure that I had a lot of fun reading. This is the start of a series and I'm excited to see where Rho heads next as she's trying to save the Zodiac. On a side note, my library has been part of YALSA's Teens Top Ten Galley Groups and our teens get to review books. When we got copies of Zodiac in, they flew off the review shelf and the teens have been clamoring for them since! This is a a great recommendation for teens who enjoy reading about astrology, enjoy some lighter science fiction and adventure and romance. Hearts to astrology lovers! This sounds quite intriguing. Thx for sharing! I just got this book from the publisher. Looks so good. I'm glad to hear that it's got the teens at your library so excited!